More bags again, but this one is special. 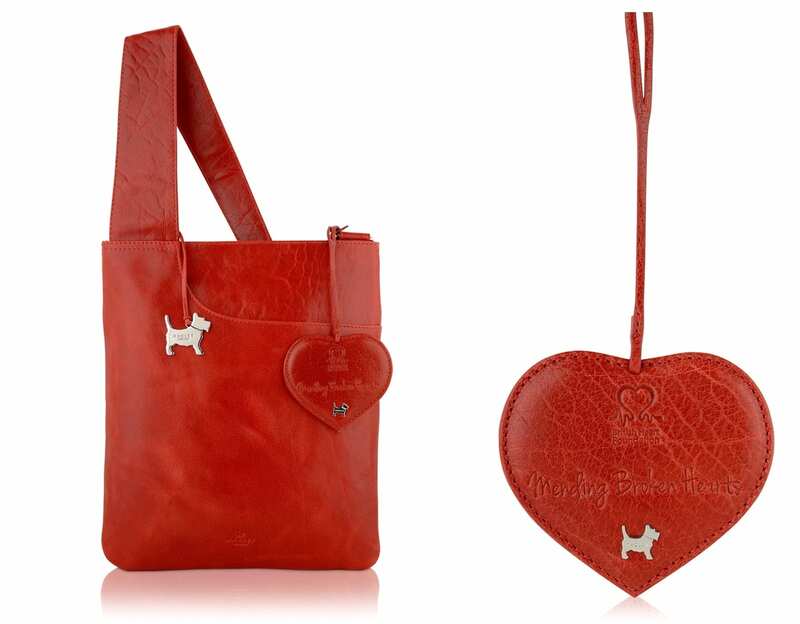 Radley are selling this bag in March to raise money for the BHF’s “Mending Broken Hearts” appeal. If you’re a Radley fan, you may already recognise the shape as their popular Pocket bag, in a beautiful bright red nappa leather. More information can be found over at Radley’s website – the Pocket bag* is available now for Ã‚Â£99 and the mirror tag* which is just Ã‚Â£19 – so cute! And while I’m on the topic of hearts, its worth a reminder of the brilliant BHF ad with Vinnie Jones (one of the best ads I’ve seen in a long time!) and also, CRY (Cardiac Risk in the Young) are holding more screening sessions around the country – check out their website to find your nearest one. If you’re not sure why you should get checked, please read this guest post by Sian which explains more.